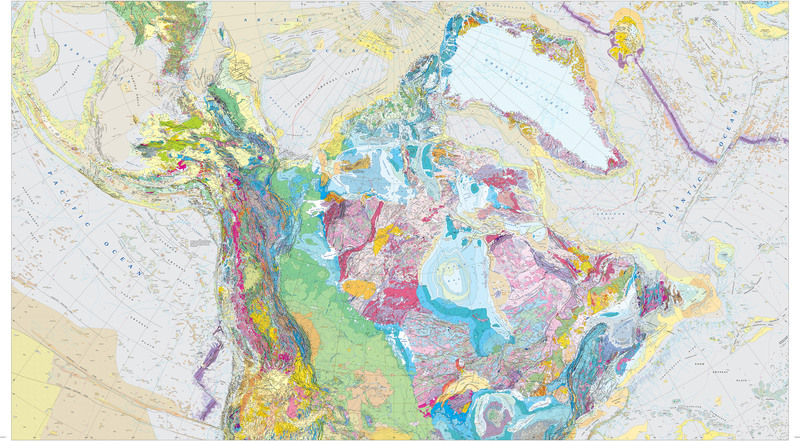 A collection of geospatial files, map images, publication documentation, and informational resources in support of the Geologic Map of North America. 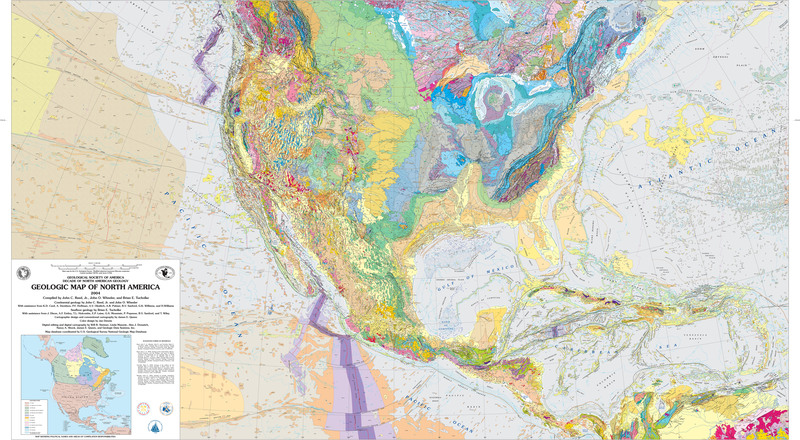 Downloadable high-resolution georeferenced images of the The Geologic Society of America's printed GMNA map for viewing or using in a GIS (includes geologic unit explanation sheets). Downloadable high-resolution images of GMNA map sheets for viewing or using in a GIS. 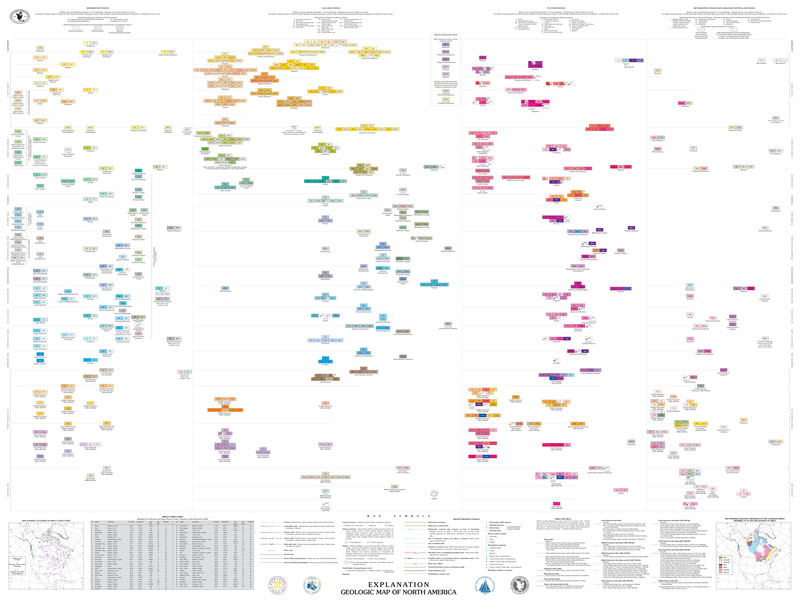 Information about how the map and database were prepared, the history of the source map, database contents, and the sources used to compile them. The GMNA was converted to a GIS database and published as USGS DS-424 in 2009. A variety of GIS-ready products are available for download. 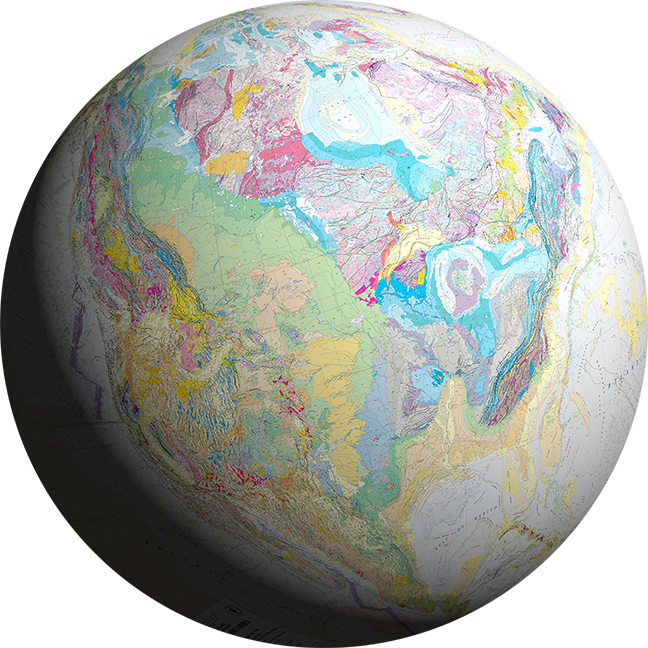 The NGMDB provides standardized, spatial geoscience information for the Nation. Questions or comments about the GMNA or map database? Contact the authors here.